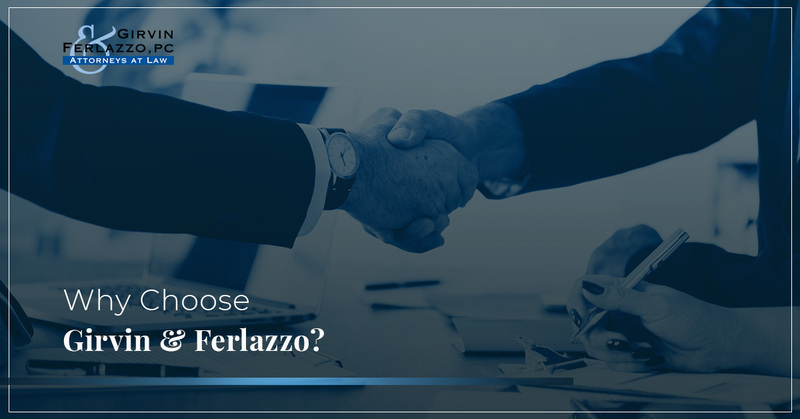 Why Choose Girvin & Ferlazzo? According to the American Bar Association (ABA), there were 177,035 active attorneys in New York in 2017. New York has more attorneys than any other state in the U.S., including states with much larger populations. This is good news for New York residents, as there is a variety of choice when it comes to finding an attorney. While more choice is generally a good thing, it can also lead to analysis paralysis. After all, when you find yourself in a situation where you need legal counsel, you are probably already experiencing undue financial or physical hardship. You need a qualified legal team as soon as possible. As a general practice law firm in Albany, Girvin & Ferlazzo, P.C. is a respected, responsive, efficient, and integrity-driven law firm. We believe these qualities set us apart and make us an excellent law firm in Albany. We also stand out for the reasons listed below. If you need a respected law firm in Albany, request a free consultation today. We have been providing legal counsel to clients in Albany for nearly 30 years. Our decades of experience show that we are committed to the highest standards of legal research, writing, and advocacy; otherwise, we would not still be around. Indeed, since 1991, we have won millions of dollars for our clients on a variety of cases. We represent individuals, municipalities, and corporations, so we are a viable legal option for all sorts of litigation. While we have thriving education, employment, and real estate practices, we wanted to spotlight our personal injury and medical malpractice areas. The personal injury lawyers at Girvin & Ferlazzo understand that suffering a personal injury can absolutely devastate your daily life. Not only are you dealing with physical trauma, but you also have to worry about the financial ramifications of your situation. Our personal injury lawyers act as a foundational support during this time, advocating for your legal rights so you can focus on recovery. Sal Ferlazzo, a partner at Girvin & Ferlazzo, has distinguished himself in the field of personal injury law throughout his career. He has obtained several multi-million dollar verdicts in personal injury law and has conducted lectures for the New York State Bar Association on the topic. For a personal injury lawyer who will advocate for you, schedule a free consultation with Girvin & Ferlazzo. Super Lawyers is an independent rating service that recognizes outstanding lawyers. Girvin & Ferlazzo is proud to have six attorneys with the distinction of Super Lawyer or Rising Star — Sal Ferlazzo, Patrick Fitzgerald, James Girvin, Ryan Mullahy, Karen Norlander, and Scott Quesnel. These attorneys earned this rating based on a rigorous assessment of managing partner surveys, peer nominations, client feedback, litigation history, and outstanding achievement, to name a few indicators. Only five percent of attorneys are selected for this prestigious rating, so it certainly speaks to the ability of these attorneys. To see if the experienced team at Girvin & Ferlazzo can help with your legal situation, contact our team today for a free consultation.